I don’t consider myself a very frugal person, but I do love to save money. The more money I save the faster I can reach my money goals. Finding ways to save money is what has allowed me to be debt free. How can you save money with apps? It may see odd at first, but we can indeed save money with apps if we put our minds to it. There are lots of amazing apps out there which, used properly, can help us save money without that much of an effort. That’s why I created a list with 6 apps that help you save money and that you can start using right away. Psstt did you know I have a free 5 day get your money back on track email course? Well I do, you can join today here. Sweatcoin is a new UK based app that pays you to walk. I know it sounds crazy, but it’s true. Once you download the app you’ll earn Sweetcoins for each step that you take outdoors. You earn .95 sweatcoins for every 1,000 steps. you can cash in for fitness rewards (such as shoes, outdoor related products, Amazon gift card, and even $50 in Paypal) Any app that inspires me to move I love it and it’s also cool to see how much you’ve walked in a day. Give it a try sign up for sweatcoin and start getting paid to walk. A few months ago I told you that I was breaking up with Digit and going with Rize. Rize is the type of app that automatically saves money from your income. With Rize I like that I get to be in more control of how much money I’m saving towards my goals. I also get to set up multiple goal buckets. Which you know I love because when your money is jumbled into one account it’s hard to really separate in your mind which amount of money goes to what. Saving is very challenging for a lot of people, but Rize makes the entire process seamless and fun to go through. Plus, the app does all of this in the background. You just have to set things up, and you can forget about all the hard work of saving. It’s fast, efficient and it works! There’s even a new investing feature so if you have a long term goal that your saving for you can now choose to invest the money. You can sign up for Rize and start saving today. Nowadays, most of us have at least 1-2 subscriptions to various services. But if you juggle 4, 6 or more subscriptions, then it’s a good idea to identify those who aren’t used anymore. Especially if you’re not really great at budgeting, this app is a good way to see where your money is going. For example I signed up for True Bill and noticed that so far I’ve spent $389 at Planet Fitness. Since I have two gyms and I haven’t been to Planet fitness in months it’s helped me decide that I may need to cancel my membership. Most subscriptions come with recurring charges, so you want to avoid those and save money. The entire app works great, and with True Bill they also negotiate your cable, and cell phone bill on your behalf because who really enjoys talking on the phone anymore lol. You can request them to cancel any subscriptions you no longer want and they will handle the entire process for you. Check it out sign up for True Bill here. Thanks to Ibotta, you get to earn money on your groceries or any other purchase that you made. The entire system is seamless, very easy to use and it delivers a wonderful sense of convenience too. That’s what makes the entire experience shine, so you should check it out Ibotta today. I admit, I’m late to the Ebates game, people have always told me to sign up and I just didn’t listen. Ebates your free cash back personal assistant. It’s a great site/app that offers you cash back on a wide range of your everyday purchases. Ebates is affiliated with over 2,000 stores and once you install the browser app anytime you go to one of your favorite websites it will let you know how much money you can save and get back. You can get a ton of money back from your purchases this way. It’s efficient, and if you use it adequately you can bring in some extra income! Try Ebates today. I’ve recently heard about the Dosh app however when I tried to sign up they didn’t accept my phone number. CheckoutSmart is the type of tool designed to offer you money back without a lot of effort. The great thing about it is that it’s extremely easy to use and at the same time you can easily shop online or in a store and get paid. It is one of the best ways to start shopping and earn money, so you should try it out. As you can see, there are lots of amazing ways you can save money with apps. You just have to identify the best apps that suit your saving needs and start using them. 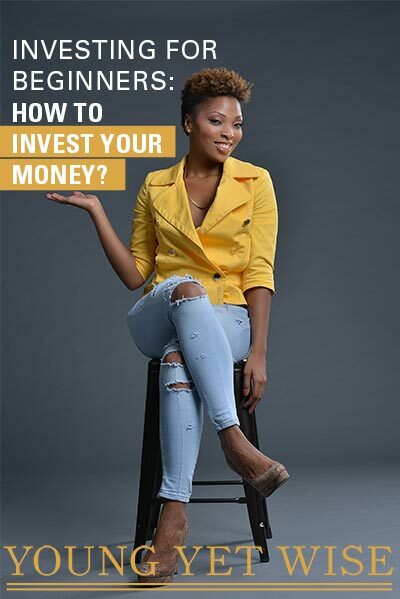 The results are second to none this way because you can easily generate a lot of money from your savings without even noticing it! Are there apps that I missed that you love? Let me know below.